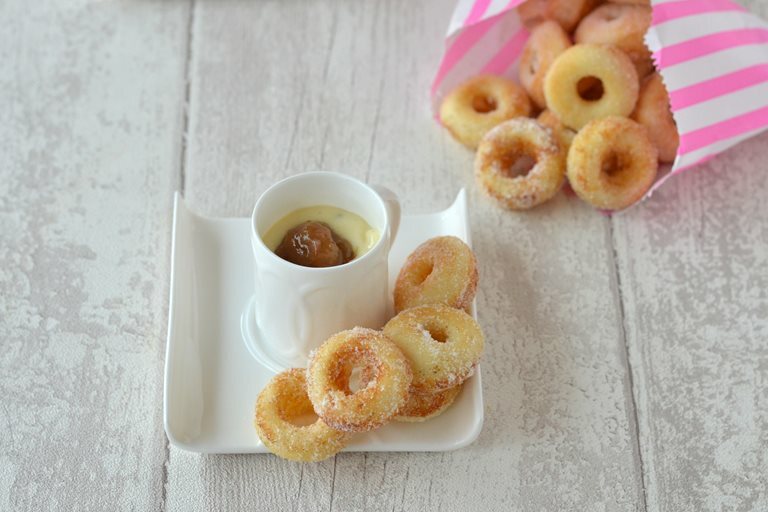 This mini baked ring doughnut recipe make a tempting family treat especially when served with a creamy custard and rhubarb jam. These doughnuts are made without yeast, so cut down on time as you don't have to leave them to rise. To serve, divide the custard between four espresso cups and add a spoonful of jam on the top. Serve the mini doughnuts on the side, ready to be dunked!